Many winemakers consider the approach as part of their overall commitment to quality. Organic farming requires a much deeper understanding of the vineyard and a greater vigilance over it. Problems must be detected early because organic fixes take longer. Another benefit is the social responsibility for winery workers’ health and not exposing them to toxic chemicals. Many wineries have locked horns with environmentalists and local residents over the issue of deforesting the land in order to plant vineyards. Hillsides are a flash point. Winemakers know that vineyards on slopes produce some of the finest wines because water runs downhill and the vines must struggle for moisture and nutrients when it doesn’t seep into the hillside, reaching their roots deeper into the earth and picking up more nuances. But the flip side is hillsides soil erosion, since vine roots aren’t as extensive as those of the trees. As well, if the winery uses chemicals, its run-off can contaminate local waterways and harm wildlife. The organic approach can mitigate both soil erosion and contamination. Organic growers don’t use chemicals, so the run-off water is clean; and they plant cover crops and trees within the vineyard, which reduces erosion. In Santa Barbara County, California, a forested area surrounds the vineyards as a natural habitat for birds, wild pigs, and deer. To reduce chemical contamination, some organic vintners also use only whole cork bark rather than cork particles glued together, and they avoid plastic corks or pesticide-treated corks altogether. Others use beeswax seals for the bottles, recycled paper for labels and inks developed without animal testing. What’s the difference between organic and sustainable farming? Sustainable farming tries to minimize the use of chemicals and the winery’s impact on the environment. They also attempt to be more efficient in their use of all resources, including water and energy, and to use recycled and non-polluting materials wherever possible. At the California winery Fetzer, for example, tractors use biodiesel derived from vegetable oil rather than petrochemicals. The winery irrigates the vineyard with recycled water, has cut its landfill usage by more than 90 percent and makes its own recyclable capsules to cover the corks in the bottles. While sustainable farming often incorporates organic principles, it is not organic, nor are there any legal requirements. 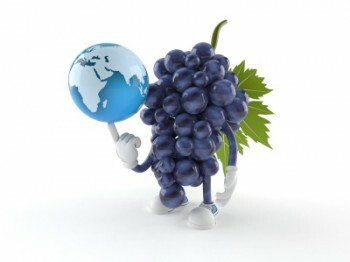 What are the challenges to making organic wine? They vary by region. Chile, for instance, with its dry climate and natural irrigation from the Andes snowmelt, is a much easier environment for organic grapes than many other areas. Oregon has fewer harmful local insects than California and its wineries need less pesticide. By contrast, in colder and rainier climates, such as northern France and Canada, vintners must battle rot and can count on less warmth to ripen their grapes; many consequently use “Bordeaux mixture,” made from copper sulfate, a traditional fungicide to fight rot. The economic challenges of organic winemaking are high: start-up costs can be substantial, especially when vintners must first wean a vineyard off a chemical dependency. Much like drug-dependent humans, vines can come to rely on chemicals and the habit that’s both expensive and hard to kick. Chemical dependency creates imbalances in the plant’s immune system and weakens its natural ability to fight pests, disease, drought, heat and rot. The substances also disrupt the ecosystem of the soil, killing all the microbes that normally produce phytochemicals, natural nutrients and trace elements a vine needs. 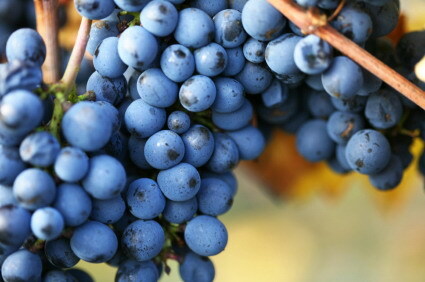 The roots normally soak up these elements, which affect the flavor of the grapes. But organic vintners say their costs go down again in the long run. Once their vines are back on a natural footing and able to reassert their own vigor, they’re better able to fight diseases and pests naturally. Expensive chemicals aren’t needed. Biodynamic viticulture is based on a theory first propounded by the Austrian agronomist and philosopher Rudolf Steiner in the early 1900s. Like organic farming, it also encourages fostering a healthy balance in the soil and eschewing artificial pesticides, herbicides or fungicides. It differs from organic farming by stressing the link between the cosmos and the plant’s health. 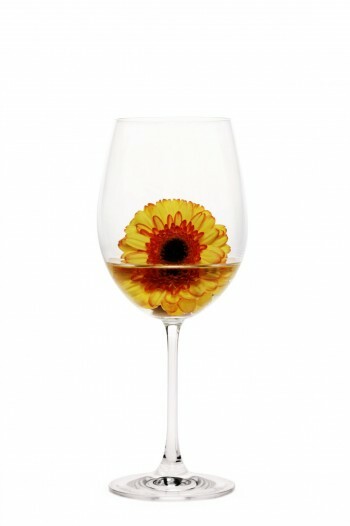 The biodynamic theory holds that four cosmic elements affect the vines: the earth element energizes the roots; light, the flowers; heat, the fruit; and water, the leaves. Where organic vintners use compost to fertilize the soil, biodynamic vintners use minute quantities of homeopathic-style preparations. As in homeopathic medicine, the idea is to encourage the body to heal itself rather than to just treat the symptoms. Biodynamic claims on bottle labels are not governed by federal, state or provincial laws, but only by the certification organization called Demeter through its copyright of the term Biodynamic. Demeter standards for sulfites are the same for wines labeled “biodynamic wine” or wine “made with biodynamic grapes”: a maximum of 30 ppm free (naturally existing) SO2 at bottling and no more than 100 ppms added to the wine. Wines made with biodynamic grapes follow many of the same guidelines as those for wines made from organic grapes, however there are differences in requiring a native fermentation, no commercial yeasts, no acid adjustments to the wine and others.